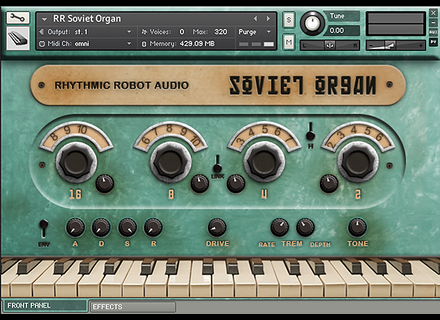 Soviet Organ, Virtual Organ from Rhythmic Robot. Sampled from an authentic vintage early seventies transistor organ called the Junost-70 Polyphonic Electronic Instrument, Soviet Organ was samples through mic'ing in turn both the organ's body speaker and that included in its accompanying flightcase, with the former producing a slightly overdriven sound due to the age and condition of the organ, while the second was heavily damaged and hence produces insanely broken sounds. 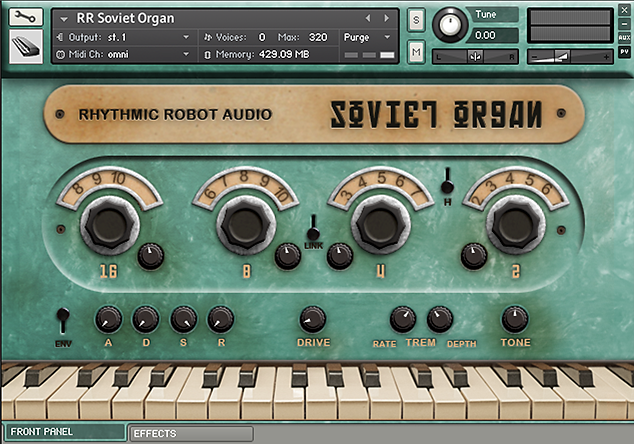 Announced at a MSRP of £25, Rhythmic Robot's Soviet Organ is currently available at the special launching price of £20. More details and sound samples at Rhythmic Robot's website. Last call for Mixbus v2-to-3 upgrade offer Owners of a Harrison Mixbus 2.x licence have until June 1st to upgrade to the latest version for $40.